Whether you’ve worked with a copywriter before or not, you should always ask questions. Who are you? What do you write? How much will it cost? How long will it take? When can you start? These are just some of the copywriting questions I’m asked. Below, I’ve answered these and many of the other questions I’m frequently asked about copywriting in general and my experience and the services I offer in particular. If you have another question, please contact me on 07715 171286 or at info@tomrigby.com. From engaging with your customers to enhancing your brand, a good copywriter will be able to understand you and your objectives, distil your market and audience, and communicate with your audience in a way that compels them to take the desired action. As you may have discovered yourself, this is not always as straightforward as it sounds. Sometimes you can hammer out a page of brochure copy first time within a couple of hours. At other times you can spend days agonising over a single strapline. Creativity doesn’t come on tap. It doesn’t just drop off the end of a production line. It takes a professional to get consistently excellent results. Natural talent is a bonus but there’s no substitute for the knowledge and judgement that comes with years of experience, huge success and the odd catastrophe. Whether a brochure, website, advertisement, sales letter, direct mail or any other form of communication with a customer, a stakeholder, a supplier, in fact anyone who comes into contact with your business – good copy should be straightforward without being simple, clever without being smug, lively without being breathless. Everyone thinks they can write but there’s a difference between being able to put one word in front of another and being able to write compelling, engaging, interesting copy that gets to the point succinctly and achieves its goal. It’s much the same with copywriting. You could write it yourself but it will never be as good as it could be if you’d hired a freelance copywriter. Spelling mistakes, wrong tenses, endless waffle – I’ve seen them all. So in the end did you really save yourself any time and hassle? Think of the time you spent writing, re-writing and refining. And what about all that potential business you’ve missed out on by having a sales letter, brochure or website that’s not doing what it’s supposed to? And if you’re wondering why you should work with me in particular, here are just a few reasons. What if I want to change the brief or have to cancel the project? I provide a quote for each project based on the parameters we discuss, so as long as the scope of the original brief doesn’t change too much, then the agreed cost includes any reasonable revisions. If there are any significant changes, we can reassess the impact on time and cost. If for any reason you have to cancel a commission and I’ve already started work on it, then a kill fee of up to 50% will be incurred. This depends on a number of things – the size and complexity of the project; how quickly you want it; what information you can supply and how quickly you can supply it; and my workload at the time. Ordinarily, I can turn around shorter pieces within 1-72 hours, while larger, more complicated projects may involve in-depth research or interviews and will take longer. I’ll always create your content as quickly as possible but will never compromise on quality or detail. A deadline will always be agreed with you during our initial discussions or at the briefing stage before the creative process begins. At any one time I usually have at least three or four projects in progress but many of these are fluid so I’m often able to take on new work. However, if I’m particularly busy or I feel that an associate might be better suited, then I’m happy to recommend a number of other talented and experienced writers. Where are you located? Should we meet? I’d love to. Working on your own can sometimes get a bit lonely after 20 years. I’m based in a village on the Northamptonshire – Oxfordshire border. The nearest train and coach stations are in Banbury and the M1 and M40 motorways are both within 10 miles. The nearest airports are East Midlands or Birmingham. So if you’re in the area, give me a call and I’ll put the kettle on. Ordinarily ,unless you’re briefing a very large and complex project, a face-to-face meeting isn’t usually necessary and I don’t make provision for them in my quotes. It’s much easier, quicker and cheaper if we communicate by telephone and email. I regularly work successfully with clients across the UK and further afield in this way. However, for larger confirmed projects or if you’re keen to meet, then I’m happy to find time to travel for a meeting. My charge for travelling to and attending meetings is £10 per hour. I also charge for public transport (charged at cost) and car travel (45p per mile) and all out-of-pocket expenses. I never presume that what went before was best. Nor do I reinvent the wheel for the sake of it. So I invest a high percentage of my time at the briefing and research stage, where answers to questions such as who, what, why, when and how can make all the difference. The more information and material you’re able to provide the better the end result will be. Background information about your company and/or your product or service, examples of your previous advertising and relevant promotional material. If you also have any thoughts with regards tone of voice, style of writing, proposed structure, mandatory inclusions, topics to be avoided, – basically, everything you can think of which might be of use to me when planning and writing. I will ask you to complete an in-depth briefing document with searching questions. Your answers to these questions will provide most of the information I’m looking for. Do you collaborate on pitches? Yes, I will happily enter into a pitch with an agency or another freelance creative. My Terms and fees are negotiable depending on the nature of the pitch. So if you’ve got something in mind, give me a call on 07715 171286 or drop me a line at info@tomrigby.com. Have you won any copywriting awards? 240I haven’t. But then I’ve never paid to enter any competitions. I don’t do awards or self-indulgence – it’s overrated. Anyway, I object to paying a fortune for a crap dinner at a second-rate venue and being judged in committee by consensus of what’s in fashion (and whose friends have probably been given the nod anyway). By its nature originality can’t be fashionable as it’s yet to have the approval of a committee. So no, I don’t have a cabinet full of trophies. It’s the clients job to stand in the spotlight. It’s my job to put them there. The nature of my work means that I’m constantly exposed to confidential information from both private and public sector sources. I take this trust very seriously and have never compromised any of my clients. If you would like further assurance, I’m happy to sign a confidentiality agreement. Will I own copyright to the work you do for me? Absolutely, 100 per cent. Once the work is complete and payment has been received in full, all rights for the copy I’ve written revert to you. Can you work at my business premises? As I’m not able to drive, it’s not always possible. But I work with clients from London to Lagos and I can almost always achieve the same results on the telephone, by email or on Skype. So I normally work from my office. It’s warm, quiet, has a kettle and it ensures that my time can be spent more effectively staring out of the window. 220So have I. It’s a real pain in the arse isn’t it? He seemed a decent sort of bloke and his credentials spoke for themselves. I had no doubts he could do the job. He even had his own spanner. Mind you, it hasn’t stopped me calling out other plumbers at the first sign of a leak. Do you offer other creative services? I just write the copy, although I can certainly give you my opinion on a design or photograph. However, I am part of an extensive network of freelance creative professionals including other copywriters, PR’s, marketers, graphic designers, web developers, illustrators and photographers, all of who I would be happy to recommend to you. I’d like to work with you. What happens now? Once you’ve decided that you’d like to work with me, simply contact me either on 07715 171286, at info@tomrigby.com or you can fill out the form on the Contact page. Once I’ve had a chance to get some details about your project, I’ll put together a quote and email it to you within 24 hours. Depending on what the project involves, in some cases I may be able to provide you with a ball-park figure over the phone so you have a better idea of how much your project will cost and so that you can compare it with other quotes you may have sourced. Then, if you’re happy with my quote, I’ll need to find out more about your background, your service or product, your message and your audience. With 25 years’ as a professional copywriter, there’ll be a good chance that I’ll have written about your market sector, interest area at least something similar before, speeding up the learning curve and saving you money. Next, I’ll put together some initial draft text for you to approve or make changes. Finally, once you are happy with it, I’ll email you the finished version. Let’s clear up one thing from the start. I don’t have anything to do with the official registration of patents, intellectual property or brand logo usage rights. That’s copyrighting, not copywriting. Although necessary, definitions can be limiting at times. There are probably as many definitions of copywriting as there are copywriters. Copywriting is part art, part science, with a bit of natural talent, experience and psychology thrown in. Confused? Then I’ll just stick to the more simple explanation I’ve used over the past 20 years. A copy writer produces copy (words) that is used to persuade the reader to take a desired action; to advertise or explain a product or service; to form a contract; to bring news; or make the reader aware of a brand. For a full copy of my Terms, please click here. To be honest, I don’t have one. When I’m writing for myself, I suppose I adopt a more conversational style with perhaps a satirical tone. But when it comes to writing for other people it’s not my job to have a style. I have to be versatile and adopt the style and tone that best suits the client and the objective of the communication. Do you have any knowledge of my sector or industry? I might have. I might not. Not that it really matters. As Cato once said, ‘Grasp the subject. The words will follow’. During my career I’ve written for a broad range of businesses across an equally diverse range of sectors and industries. And while I have better knowledge of some more than others it’s not always necessary to have experience of a business area. In fact, not doing so can often prove to be an advantage. My job will be to make sure that your customers can understand your business. I will come to you with a knowledge of words, experience of business, maybe an insight into your industry but most importantly with a fresh and objective perspective. How much will my copy cost? I don’t know yet. It depends on what you want. Writing copy – and I mean proper copy and not the stuff sold for peanuts by copy mills and written by moonlighting journalists, failed poets, frustrated novelists and students – involves a mix of art, science, experience, insight, luck and judgement. Talent is always a bonus. Unlike some copywriters, I’m candid about my copywriting rates. I work on the premise that good words are worth much and should cost (relatively) little. Even with 25 years’ experience, I prefer to keep my fees relatively low and terms straightforward. I charge £30 per hour or £300 per day. I’m not the cheapest but certainly not the most expensive. I’m somewhere in the mid-range for UK copywriters based outside of London and the South-East. For someone with my experience, you can easily pay upwards of £600 per day. Rest assured, by hiring me you won’t be subsidising plush offices, a swish car or a champagne lifestyle. Every piece of work is different. 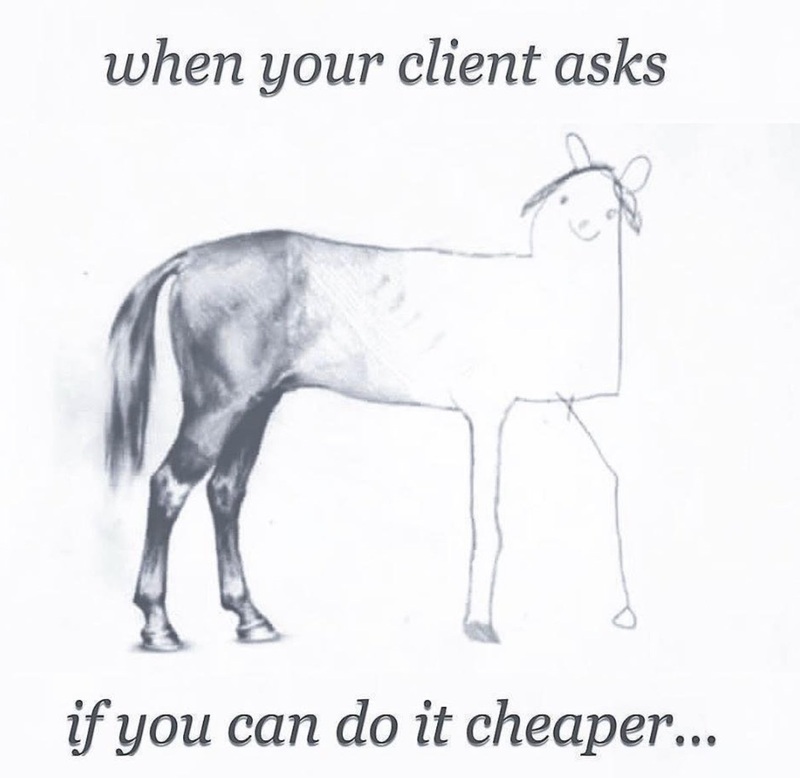 So, for your benefit and mine, I prefer to charge on a project basis, giving you a fixed cost before a word is written. This charge is based on my experience of the time it will take, the experience I bring, the advice I offer and the value I add. This fee covers the cost of my services from start to finish. This, unless otherwise agreed, will include consultation, research, planning, writing, evaluation, submission of a first draft, any reasonable revisions (assigned within 10 working days) and ordinary communication (UK telephone and postage). However, it’s exclusive of public transport (charged at cost) and car travel (45p per mile); time spent travelling to and attending meetings (£10 per hour); extraordinary communications (charged at cost); and all other out-of-pocket expenses. Why don’t you charge by the word? Quite simply because some words are worth more than others. So I believe that words should be weighed and not counted. Sometimes I can hammer out a page of search engine optimised web copy within a couple of hours. At other times, I can spend days agonising over a single strapline. And that’s the difference between churning out meaningless drivel and writing something that gets results. Let me compare it to housebuilding. If you employed a builder to build a house, would you ask him if he charges by the brick? You’d be lucky to get away with quizzical look and a blunt reply. Builders don’t charge by the brick because their experience tells them that every project requires them to do something different with each brick. Paying by the word is a fail-safe way to get bloated, flabby copy. Pay someone by the word and in order to pad out the word count without much thought they’ll add as much superfluous, redundant or unnecessary waffle as they can get away with. So that you don’t end up paying more if a good idea takes a little longer to emerge than I’d anticipated. And so that I don’t lose out if it doesn’t. I’ve just started my own business and money is tight. Can you help? I can but probably not in the way you’d like. If you’re just starting out and you have a small budget, I’ll do my best to give you the best possible price. But please remember that I’m a professional and earn my living as a copywriter. If I work for free, then my children don’t eat (or something like that). If you’ve already drafted your own copy, you should consider taking advantage of my Copy Critique service. Why not give me a call on 07715 171286 and we can talk it over. I need lots of blog posts but have very little budget. Can you help? Sorry, not this time. I don’t get involved in copy mill style projects. Perhaps instead you should search Google for a cheap blog writer or contact one of the growing number of umbrella sites like eLance or Copify – you’ll find lots of people willing to throw together poorly written content for ridiculously small amounts of money. Cheap copy will end up costing you in terms of search engine visibility, reputation and sometimes copyright. This type of copy is almost invariably poorly written, full of spelling mistakes and bad grammar and punctuation, and is often directly cut, copied and pasted from other sources. In the long-term they’ll put off both search engines and prospective customers. If, on the other hand, you want well-researched, well-written, original and dynamic content, and are willing to pay the going rate for it, contact me. I need content urgently. Can you help? Yes, I may be able to. However, if undertaking your work involves me having to reschedule other client work or work unsocial hours I may charge a little more, although I’ll make you aware of this before I make a start. If it’s really urgent, it may be better to call me rather than email me. Can you write a website that will get me on page one of Google? The straight answer is that no-one, no matter what they promise, can guarantee a listing high up on page one of Google. Anyone that does is not being honest and is either promoting terms that no one is searching for or using ‘spamming’ techniques which will eventually be penalised by search engines. Along with structure and design, the way in which a website is written is one of a series of key factors which determines how it is ranked by search engines. The chances are that you found my website because it was ranked highly for the search term you entered. And that’s because of the way it was written and the terms included within the copy. So while I won’t make any promises, I can certainly ensure that your on-page content and off-page SEO is enhanced to give you the best chance of being ranked highly in search engines for terms that are relevant to your business. How do I know which copywriter is suitable for my project? If you’re seeking the help of a freelance copywriter there is plenty of choice and thanks to Google they’re now all at your fingertips. Choosing a copywriter isn’t a decision to be taken lightly. Not if you’re about to trust them with your reputation. like any other industry, they are good ones and bad ones. So how can you make sure that you choose the right copywriter? There’s no definitive and authoritative answer. There are a few questions you should ask to make sure that they have the necessary skill and experience – I’ve discussed these in my blog post Essential Questions To Ask A Copywriter Before You Hire Them. If you’re looking for benchmarks to compare one copywriter with another, then you should consider what copywriting experience they have; are they affordable; do they appear to understand your sector, your company and the nature of the work you’d like them to do; do they listen to you or just talk about themselves; and finally ask to see some examples of their work. In truth, you can ask as many questions as you want to but it will come down to your instinct. You must ask yourself do I like them, could I work with them, and will their words do my company product or service justice. What’s the difference between copywriting and content writing? Nothing. They are one and the same. The term content writing or content creation is often used by web designers to mean writing for the web – a website page, an online advert or a blog post. How do I brief a copywriter? As I’m sure you do too, I like all of my relationships to be as straightforward and uncomplicated as possible, so i adopt the same simple approach with each project whether I’m writing web content foe a global pharmaceutical giant or a piece of direct mail for a local crafts centre. It’s one that has continually brought success throughout 20 years of writing. Once you’ve made the decision to work with me, I’ll take you through the briefing process. If you’ve already put together any sort of brief, that’s great. But to make sure that I gather all of the information I need, I’ll ask you to complete a short briefing document. This document contains some searching questions about your company, its objectives and goals; your products or services; the marketplace; your customers and their motivations and challenges; and finally the call to action. The answers to these questions will give me the detailed information I need. I’ll also do my own research and if required, telephone interviews. While some larger, more complex projects may benefit greatly from an initial meeting, the majority of work can be done by phone and email. I’ve worked with clients across Europe, the US, Africa and the Far East very successfully without actually ever meeting them. For a copy of my copywriting briefing document, click here. What copywriting experience do you have? I’ve been a full-time professional freelance copywriter since 1997. I’ve worked with businesses across every Continent. I’ve worked with businesses of all sizes, from local start-ups to multinational corporations. I’ve collaborated with more than 200 design, web and marketing agencies. I’ve written about a diverse range of business sectors and interest areas. I’m a former national journalist and published author. I bring over 20 years of business experience with me. I’ve written speeches on for Government Ministers. I’m the preferred copywriter for dozens of national design, marketing and advertising agencies. Around 70% of my work comes from repeat business, client recommendations and agency referrals. Click here to download a one-page document outlining my credentials. Wouldn’t it be cheaper to write the copy myself? Yes, of course it would be. And let’s face it, how hard can it be? It’s only words and I’m sure that your spelling isn’t too bad. But before you pick up a pen or start merrily tapping away, let me curb your enthusiasm. Everyone can write to some extent but there’s a difference between being able to put one word in front of another and being able to write compelling, engaging copy that captures the attention of a reader and motivates them to take a desired action. That sort of success comes with years of experience, knowledge and judgement. It’s a bit like doing your own decorating. It’s never going to be as impressive as if you’d called in the professionals. But hey, it’ll do. But then you start to notice the poor cutting in and bits flaking off. It’s much the same with copywriting. You could write it yourself but it will never be as good as it could be if you’d hired a freelance copywriter. Missing words, spelling mistakes, wrong tenses, nonsensical waffle – I’ve seen them all. So in the end would you really save yourself time and money? Think of the time you spent writing and re-writing. And what about all that potential business you’ve missed out on by having a sales letter, brochure or website that didn’t do what it was supposed to. If you want to ensure that your words enhance your brand, engage with your customers and sell your products and services, then you need to talk to an experienced professional copywriter. And by professional I mean someone who works with words all day and not one of those failed poets, frustrated novelists and strapped-for-cash students that churn out meaningless drivel through copy mills like Copify. What if I don’t like the first draft of copy? I’m good but by no means perfect. I aim to produce exacting copy first time, every time. More often than not, with the odd minor tweak, I come pretty close to the mark with my first draft but if that’s not the case, don’t worry. I’ll use it as a starting point from which I can clarify which parts of the copy you like and which parts you don’t. If you are to be happy with the final version then honest feedback is vital as your comments and revisions will help me to shape and refine the copy. My fee includes as many changes as required (within reason) until you are satisfied with the finished version of the copy. And on the very rare occasions where a client has thought I wasn’t hitting the spot, we have parted amicably every time (almost). Will you write a free sample for me? If you’re asking me to spend my time blindly throwing together something in a rush without a proper brief, the opportunity for information gathering, and without pay, as a kind of application process that might lead to some paying work, then probably not. Anyway, writing sample copy is a pointless exercise and not in the least bit helpful to you. If we accept that you’re not just asking so you can get some free copy, even if I was to cobble together a few hundred words, it wouldn’t be representative of my work. I begin each project with research and interviews. Without these essential parts of the process you’ll end up with a half-baked load of copy which fails to impress. Anyway, try asking a plumber to fix a bit of your toilet before you decide whether you like their work and want them to continue work on the rest of the toilet. Other professionals don’t provide free samples, they expect potential clients to evaluate them on their portfolio, experience, personality and professional reputation. So while it might seem like a reasonable request, after 20 years as a professional freelance copywriter I’ve built up enough experience, a solid reputation and a varied enough portfolio to give visitors a good idea of whether I can write or not. If I haven’t worked with you before then I will ask you to pay a 50% deposit on commission, with the balance payable on completion. As an experienced copywriter, I offer a wide range of copywriting services, whether you require content for print, digital or web.